Great camera work on the human towers Wizard. Very steady, and I appreciate the wide angle, as you have a better appreciation of what the whole scene looks like. I was especially impressed by the single column towers. That has got to be one of the most difficult feats a team can perform. Are there regional accents in Spain, like the USA’s southern drawl, NewYork, or New England linguistic distinctions? Unfortunately you have hit upon "false friend" or "amigo falso". The word is not Spanish (or even Catalan) and does not mean farmer's market. 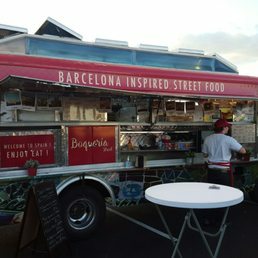 It is a word that specifically refers to only that market in Barcelona (although the market is so famous the name may be copied elsewhere) as in "Boqueria Street" which is the name of a food truck in Vegas that operates on Rampart Street right near the Wizard's home.I have actually been through this etymology with another friend who saw the food truck. The word is really of unknown origin, but the prevailing theory is that in the Medieval Age, this area of Barcelona (out of the walls of the city) was a place to keep (and/or to sell) herds of goats,and in Catalan the male of the goats are called "boc". It is completely unrelated to "bocata", which comes from "bocadillo" diminutive of "bocado" (mouthful), from "boca" (mouth) from "bucca" (Latin for cheek or mouth). The Catalan word "boc" is actually from Old German, and a cognate is the English word "buck" in reference to a male stag. In poker, where a knife (typically with a hilt made from a stag horn) was used as a place-marker to signify whose turn it was to deal. The place-marker was commonly referred to as a "buck" hence the term ("pass the buck") used in poker, eventually a Silver dollar was used in place of a knife leading to a dollar to be referred to as a buck. The Catalan word "boc" is actually from Old German, and a cognate is the English word "buck" in reference to a male stag. 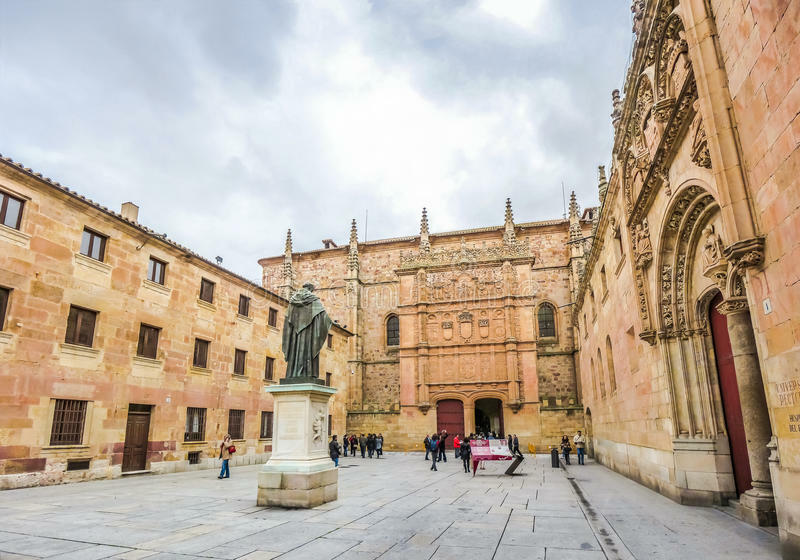 It's worth remembering that Spanish in Spanish is often referred to as "Castellano," meaning "Castilian." And that Castile is only part of Spain. Thank you. Very good answer. I also stumbled upon that food truck when doing a little research for this question. I can't say I've seen it but will keep an eye out. Coincidentally, the farmer's market by my house, on Rampart, is on Wednesdays. Maybe they will be there and I can torture them with questions on the name. In poker, where a knife (typically with a hilt made from a stag horn) was used as a place-marker to signify whose turn it was to deal. The place-marker was commonly referred to as a "buck" hence the term ("pass the buck") used in poker, eventually a Silver dollar was used in place of a knife leading to a dollar to be referred to as a buck. I have heard the expression "pass the buck" lots of times, to refer to passing on a problem to someone else. Thus the sign on, I think, Jimmy Carter's desk as president that read, "the buck stops here." I've never heard it in poker, however. It is usually called the "button." I actually had a little debate recently, that I think I lost, about what the medallions were referred to in Free Bet Blackjack. Thus the sign on, I think, Jimmy Carter's desk as president that read, "the buck stops here." Thank you. My hands are actually kind of shaky but I did my best to get a wide shot to capture the whole tower as well as the crowd. My first few towers I recorded with the camera horizontal, and I had to pan up and down to see the whole tower. Those I chose to not even put in the YouTube video because the vertical ones were much better and, to be honest, it was running long enough in time. I'm sure there are, as much as there are regional accents within the US. A few times when I approached people in Spanish they answered back in English. I asked how they knew my native language was English and they said it obvious from my accent. The same thing has happened when I attempt German as well. Paco or Nareed can probably speak to this better than I can. Back in the mid-80s to mid-90s my father and brother had occasion to travel to Spain on business, about once per year. I managed not to get snagged into a trip even once. That took some doing, let me tell you. Coincidentally, the farmer's market by my house, on Rampart, is on Wednesdays. Maybe they will be there and I can torture them with questions on the name. They used to go to that farmer's market, but here is their new schedule for this week. Of course there are regional dialects in Spain. Every country has regional dialects. Spain actually has regional languages. Galician, Leonese, Aragonese, Basque and Catalan are distinct languages and are not considered dialects of Spanish. However, all of them except Basque are Romance languages (descended from Latin). That is true. Sanskrit is closer to Spanish than Basque. Basque is the only isolate in Europe. There are no isolates in Mexico as all 50 some native languages are considered related to some larger group.